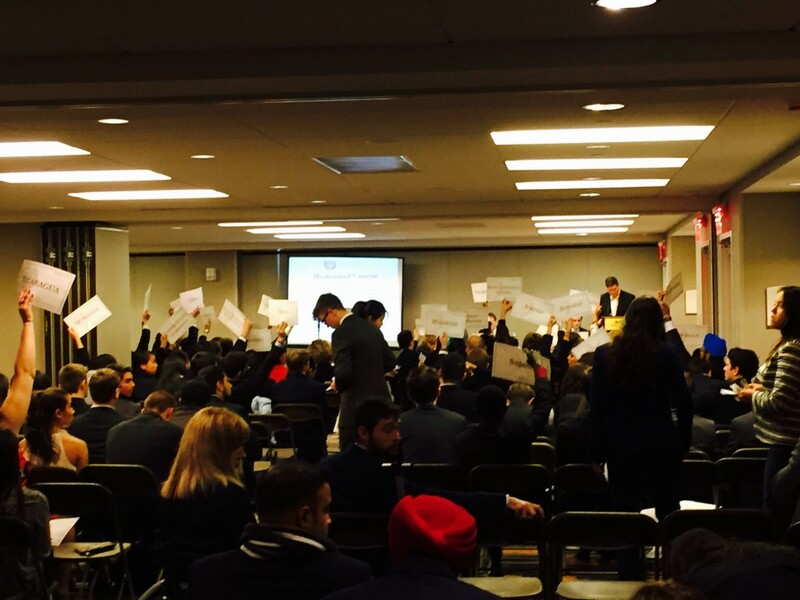 Today is the second day of Harvard National Model United Nations 2015 (HNMUN 2015), and the conference of Special Summit on Technology (SST) is still being held in Berkrley, Clarendon and Dartmouth and there are over 100 delegates present. The main topic of SST this year is about the Internet. Their topic area A is Internet Privacy & Internet Security and the topic area B is Health Technology. About Topic Area A:Internet Privacy & Internet Security, as we can see, with the rapid development of the Internet, the technology like wireless communications has become more perfect, and the application and popularization of the Internet have already come into a new stage. On the one hand, we cannot deny the achievements those come with the developments of the Internet, but on the other hand, disadvantages also appear at the same time, and the delegates of SST will discuss this problem at the conference. However, they’re discussing Topic Area B: Health Technology today. Healthcare is a topic all countries must consider. As the director said,no matter our advances in the field,healthcare access, infrastructure and deployment will always have room for improvement. The UN General Assembly recently passes a resolution urging countries to adopt universal healthcare plans to combat issues found within these three areas. With modern technology advancing at rates like never before, it is only logical that current innovations be applied to such problems. A topic area on Health Technology would consider the following:global access to modern healthcare technology sector, and the costs associated with the technology infrastructure and deployment of such technologies. Also, use of specific devices had been discussed:mobile phones,inexpensive preventative care devices,and international data sharing for use by healthcare professionals. Technology has changed the world,but to put it into the way to help people around the world is the best way to play a role of the international business.